I am like many - maybe most - amateur radio operators today in that I like to operate many different radios in many different configurations. Those of us who came into amateur radio after the days of homebrewing and kit-building are I think more inclined to switch radios and station setups more frequently than our older brethren. I have owned and operated many different radios and without exception they were well designed and competently constructed rigs. Some I liked more than others due to operating conveniences and personal preferences, but they were all very good pieces of equipment. 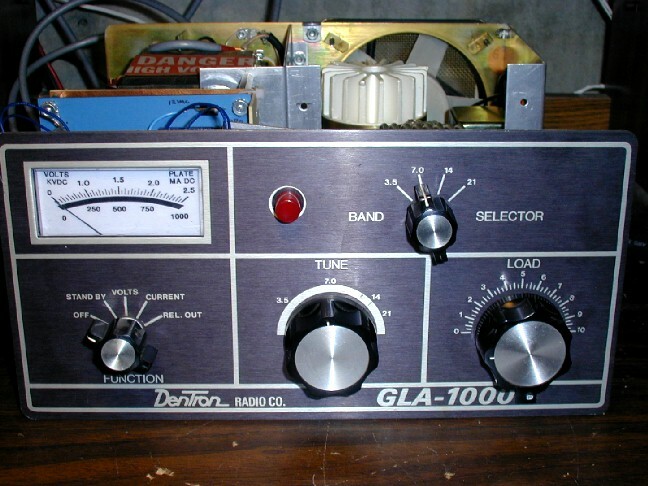 My current station consists of an Icom IC-756PRO driving a heavily modified DenTron GLA-1000 amplifier (for much more about this amplifier modification click here). I also use an Icom IC-730 for mobile and digital work. I use a RIGBlaster Plus for digital work. I have really enjoyed working PSK-31 and other digital modes through my computer soundcard. QRP DX is a real charge! Other rigs of note that I have operated include: Kenwood TS-120, Kenwood TS-520S, Kenwood TS-820S, Kenwood TS-830S, Kenwood TS-440S/AT, Kenwood TS-940S/AT, Heathkit SB-102, Heathkit SB-104A, Yaesu FT-707, Kenwood TS-950SD and Yaesu FT-920. 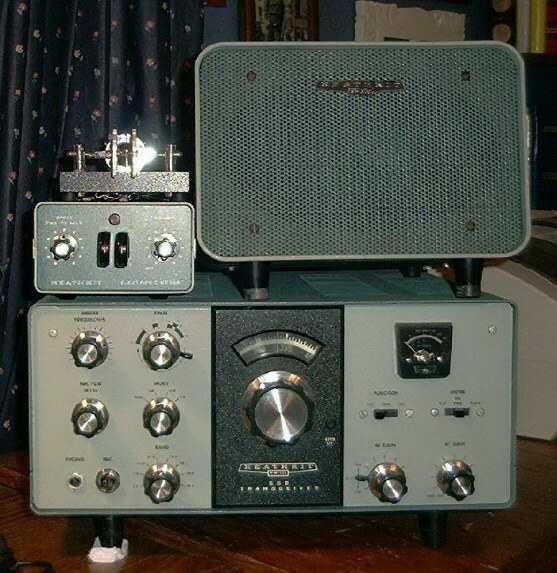 All of these radios were fun to operate and each had it's own personality. For operating convenience and full bells and whistles, the 756PRO is an unbelievable radio. Check one out if you get the chance. I am a certified boatanchor nut. The other pieces that populate my shack now are a National RAO-7 Navy WWII receiver, heathkit TX-1 Apache Transmitter, and Heathkit HW-101 SSB transceiver (my first rig, purchased in 1978). The HW-101 is now in use at my second QTH, a log cabin that my father and I built on a beautiful piece of East Texas piney woods acreage that my Grandfather purchased in 1931. I spend a lot of time there with the cows, deer, coyotes and wild pigs. 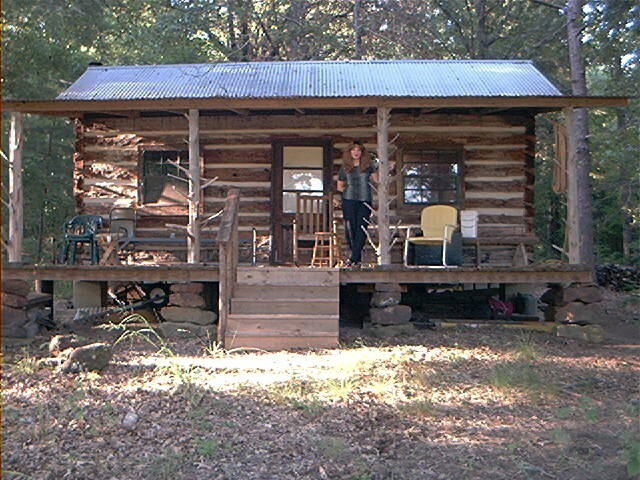 So if you hear me "log cabin portable", this is where I am! The RAO-7 and TX-1 are used as an AM station. They are coupled through a Dow-Key relay. I have other pieces in various stages of restoration. I love these old rigs and the sight and smell of hot tubes in the dark!